2. With kitchen scissors cut the carrot greens but leave about an inch on the top. Peel them and toss the carrots, garlic and olive oil in a roasting pan. 3. Roast in the oven for about 50 minutes or until the carrots are fork tender. Remove from the oven. 4. 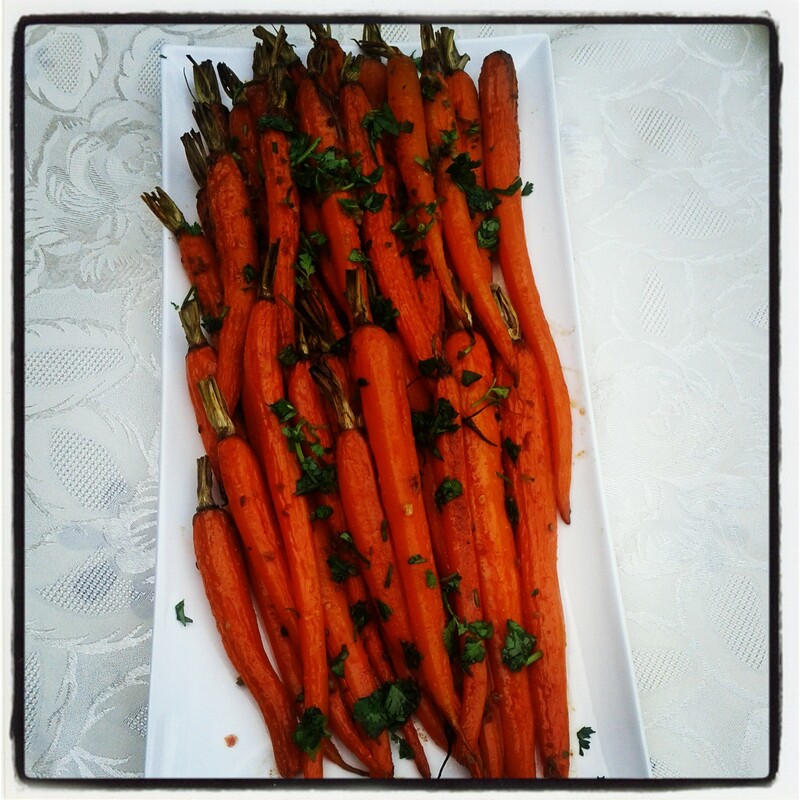 While the carrots are roasting, whisk together the dressing ingredients. 5. After the carrots have cooled slightly, place them on a shallow plate and pour the dressing on top. 6. Sprinkle with chopped cilantro, parsley or chives. Fast, easy, and delicious!! Thank you!! It came out great!